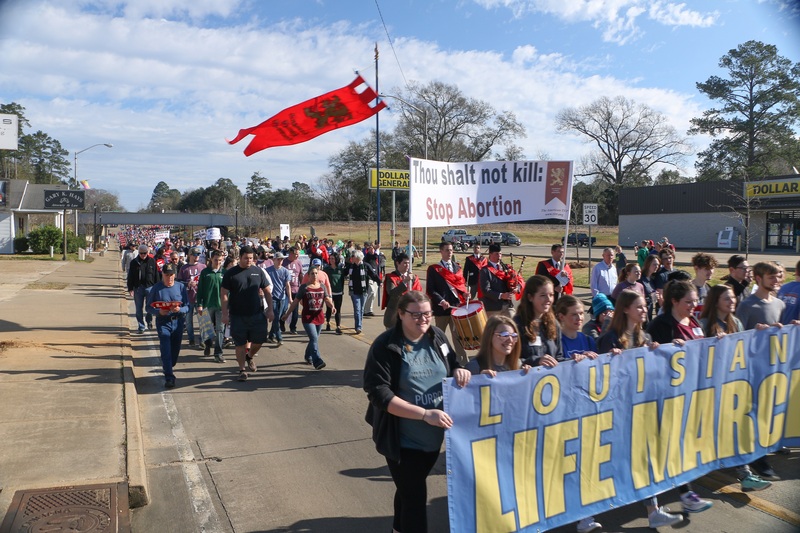 Tradition, Family Property – Louisiana joined thousands of dedicated pro-lifers participating at the annual Louisiana Life March in Alexandria, on February 2, 2019. The event was blessed with a bright sun that shone brightly upon a sea of pro-life banners and signs. 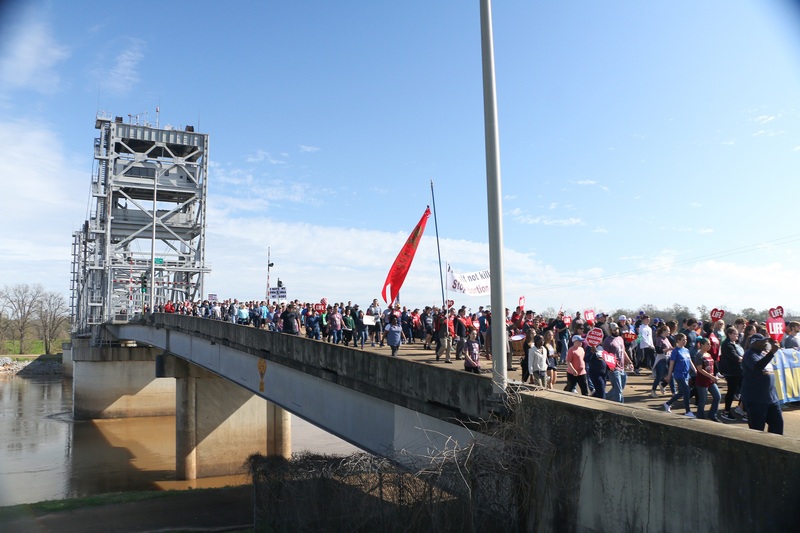 The enthusiastic crowd gathered at Louisiana College in nearby Pineville and marched across the Red River Bridge to downtown Alexandria. TFP Louisiana members carried a large banner with a clear message: “Thou shalt not kill: Stop Abortion.” In addition, they distributed copies of the TFP statement titled “Defending the Unborn Amidst a Crisis of Faith.” The message of persevering amid the present crisis in the Church was timely and well received. 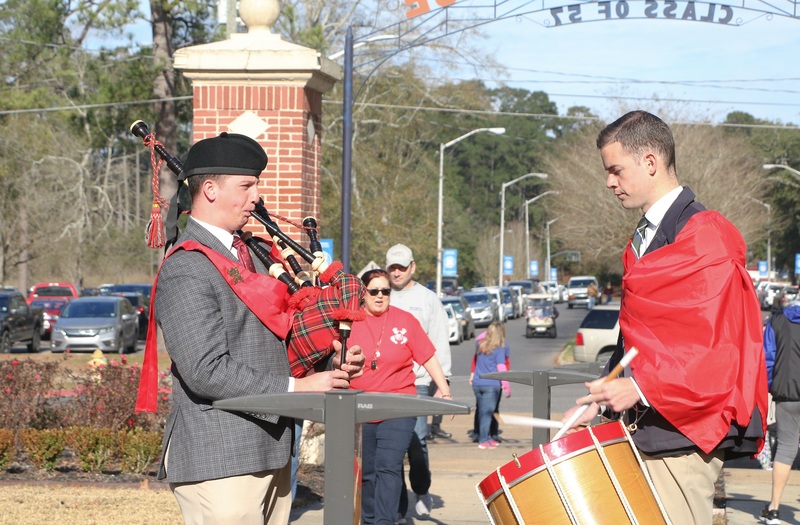 This year, TFP Louisiana added to the March by playing patriotic and religious hymns with bagpipes and drums.